In summer 1958, I was posted to 2 Div OFP at Tela Barracks, Ratingen (in fact although the address was Ratingen it was actually at Dusseldorf-Rath). A few days after I arrived, 2 Div OFP ceased to exist and was split into 4 Gds Bde Gp OFP and 5 Bde Gp OFP (or some similar name), sharing the same site. I served in the former for about 12 months. I have never been back to Dusseldorf since but have fond memories of it and every time I hear the name I think of visiting the city. 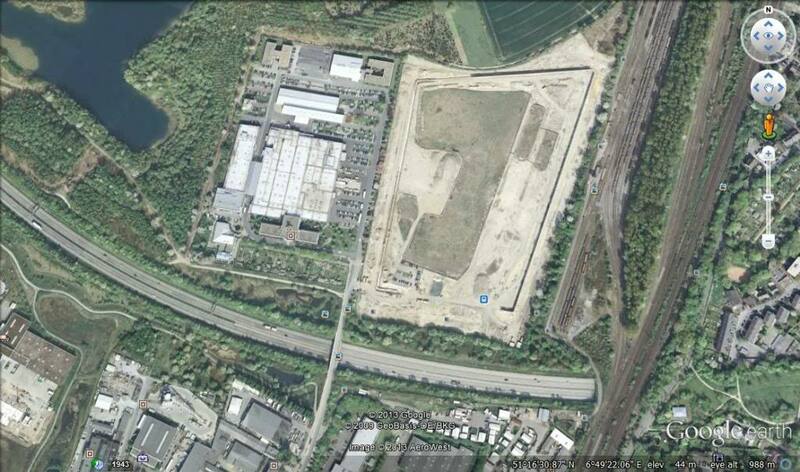 But for all I know the site might now be an industrial estate. Does anybody know if it is still a barracks? One of our earlier contributors, Flash, did a superb job in producing an overlay for Google Earth of all the BAOR Barracks known to him. He did include Roy Barracks. It looks as if the site is currently being completely cleared for redevopment. Thanks to Flash and Steve for info. I was stationed in Roy Barracks from Dec 1969 to Jul 1972, REME att. 3 BAOR Map Depot RE. 14 Field Survey Sqn RE shared the camp with us, as did the Rhine area MFO Depot, and Rhine Area Courts Martial Centre. Roy Barracks was situated in Oberhausenerstrasse, Dusseldorf/Rath. opposite the what was the QM stores,we had a Russian welder went by the name of molinkof did he still work there was always bringing things in to sell. The workshops seemed fairly modern, with an excellent battery shop. If by Molinkof you mean Peter, a giant of a man, I had to tell him that he was being made redundant, as the Admin staff were very wary of his temper. (He once threw a full size anvil at me, across the workshop.) He got a good deal, and I made sure that he left with a good bit of contraband. The official address of the Barracks was R E Ratingen. Sounds like the same chap he was big ,and as you say he had a bigger waistline when he went home at night after visiting his german friends in the cookhouse,i have still got a silver 1935 five reichsmark coin he had brought in to sell, sounds like they had done the workshop up ,in our day you took your life in your hand going into the battery room, with an out of the ark charger on the wall,but we did get extra milk ration for working in there.for our brew up in the back room,as there where only three of us in the REME corporal and two craftsmen,attached to the RAOC i think we got of light when you hear what some of them had to do in REME main workshops. https://i.servimg.com/u/f58/18/74/23/39/record12.jpg Hello everyone. I could do with some help - I am looking for Francisco Lopez Triviño aka Treviño. I can situate him at working at around 1961 at the Tela Barracks in Rath. Does anyone remember anything about him ? I am happy to answer any question via pm, but would be just as glad to hear from someone who remembers him here on the forum. He was born on the 31st of december 1916 in Benalua, Granada province / Spain. The pic is from 1951. He may have worked as a mechanic. Any help is greatly appreciated. Being not British, in fact I`m German, I was born in Duesseldorf-Rath, near the Roy-Barracks. Between 1978 and 1982 I had some close friends in the British Rhine Army(Royal Engeneers) which were stationed there. Some of them were in relationships with some female friends of mine and we had a lot of fun together. As far as I remember there were not many contacts, usually, between the British and Germans....what has been quite sadly. I remember, there were most of the time no "Officers" in the barracks afterwork. We were often invited and I remember a cermony, you Brits call Guy Fawkes Day.....5th of November ? It was very interesting for me, `cause I only heard about it in school. We invited our British friends into our homes, especially about Christmas and birthdays. The parties in the "barracks" and in our homes were remarkable....I remember a Scottish engeneer who was capable to drink historic amounts of "Apfelkorn" - what some of you are remembering, perhaps. Till today I am astonished about the open habitus to enter the barracks...the first times I had to show my ID-card and after some visits, a friendly hello to the guard has been enough to get in (also for the visitors-protocol/guestbook at the gate) . In the barracks, for me as a German, the food-automats were remarkable...the pastets (lever? pork? whatever) where - interesting. Many times we met at the local pub "Rather Fass" which was our regulary meetingplace. Are some of you remembering the "Altbier" - a thing between the colour of Lager and Guiness? What I cannot quite understand is the "isolation" of most of the soldiers - about all ranks. Has it been "ordered" or has there been just no interest under the soldiers? If there are any questions I can answer - please just ask. Thank you, the Royal Engeneers, for hosting my visits and the good times I spent with my friends. Peter Jones and a mate of him who had a Triumph bike on his room. Perhaps he will read this lines. Beside - all of the guys were Privats. ...and sorry for my basic English. I was stationed in Roy Barracks between 1969 and 1972, so I can not help you find your friends. I do remember The "Rather Fass" bar, and the hangovers the next day. Was it "Schlosser Alt" or "Diebels Alt" sold there? The nights in the Altstadt, and other foolish things young soldiers did when far from home. The pastets were pork pies and Cornish pasties, an essential to assist the beer to go down quicker. The units in the barracks were small, a total of about 70 soldiers. A lot of the soldiers could not speak German, and their main hobby was drinking, the Royal Engineers were renowned for their capacity with alcohol. Drink was very cheap in the barracks, so the soldiers spent most of their nights in the NAAFI bar. I learned to speak a little German in Rath, my German friends said that I spoke "Kneipe Deutsch". I still visit Germany each year, and can be understood, so my kneipe Deutsch cannot be so bad. Good luck in your search. There is a Royal Engineers Facebook page where you may have more success. My Dad was based at Roy Barracks from 80-83 (I think - we certainly lived in ratingen) and 91-95 when 14 Topo were there. There was a school next door (Roy first/Dalton Middle School) that my brother attended (I went to Windsor on JHQ). I remember Roy Barracks was closed down in 95 and my Dad helped move to Ayrshire Barracks in MG.
Norbert, I also remember some great fireworks displays on Guy Fawkes night that my Dad helped organise. thank you for your welcome. Yes Schlosser Alt and Diebels Alt were the both magic beers in Rath. I am quite happy that your are remembering the Rather Fass, beside your hangovers. And yes some of the things young soldiers did were a bit strange for me...but made me most time smiling if not laughing at all. The British kind of humor has been my thing - and I was about 17-19 years old and some strange behavior of mine not far away, also. > I was stationed in Roy Barracks between 1969 and 1972, so I can not help you find your friends. You must have served in a time when many officers were living in the barracks. Less fun after work - wasn`t it ? During my guest-time in the barracks there were no officers at all present - so life after duty/work was a bit more civilian for the lower ranks living inside. >The pastets were pork pies and Cornish pasties, an essential to assist the beer to go down quicker. Anyway - I prefered the pork pastet as far as I can remember. >The units in the barracks were small, a total of about 70 soldiers. A lot of the soldiers could not speak German, and their main hobby >was drinking, the Royal Engineers were renowned for their capacity with alcohol. Drink was very cheap in the barracks, so the >soldiers spent most of their nights in the NAAFI bar. I learned to speak a little German in Rath, my German friends said that I spoke >"Kneipe Deutsch". I still visit Germany each year, and can be understood, so my kneipe Deutsch cannot be so bad. If you learnded "Kneipen Deutsch" then your are an exception. Most of the soldieres were not willing to learn some German. I think you will be involved with more contacts with Germans by speaking some German. Most of the older normal pub guests were not English speeking, I am afraid. My friends told me they got a briefing in the German language before the start their service but it was not very effectiv, I assume. I would be more happy if there were more soldiers in the Rather pubs. It always was interesting to talk with them, learning about their families and their lifes, which were very different from mine. >Good luck in your search. There is a Royal Engineers Facebook page where you may have more success. Thanks for the advise. I will have a look on facebook. If he was no officer rank it might be that we saw each other. Because he was based with his familiy he never lived inside the Roy Barracks. I think he was there over the day on duty and could drive home to you an your family after work. As far as I know there were no families living inside the barracks. It is possible that we saw us also during that Guy Fawkes Day I was invited. But you must have been a younger boy. >Norbert, I also remember some great fireworks displays on Guy Fawkes night that my Dad helped organise. If you will meet your dad, give him my thanks for this day, please. I had a lot of fun. I was 3 in 1981, so may have been at the fireworks display you were at but dont remember it! My dad was proabaly a corporal or a lance corporal when you were there i think. He was a Warrant Officer the second time. Yes, married families did not live on camp. We lived in Golzheim near Nordpark the second time we were there. Cant remember where we lived in the 80's, maybe Am Geisterberg, it was near the wildpark. I also remeber Schlosser Alt, got my first hangover on that, lol. When i lived in London there was a guy on Borough Market who used to import it. Used to by it by the truckload for my Dad. >My dad was proabaly a corporal or a >lance corporal when you were there i think. He was a Warrant Officer the second time. That sounds like the German "Unter-Offizier" - a rank under the Leutnant. I can only rember privates inside the Roy Barracks. Married soldiers had more choices, I assume. Golzheim today is still a quite pleasent part for living in Dusseldorf. Many people want to live there. Life must have been better outside the barracks. Much more inside real life, as far as you could realise it as a kid during that time. The soldiers, not married, in the barracks often spoke about some kind of isolation. Most of the time just work, duty and everyday the same faces arround. Sometimes some beer or scotch/gin. My friend Peter sometimes thought about asking for getting based in Northern Ireland, what was not so funny in that times, for sure. His thinkings were caused by being bored sometimes. I hope you had a good time in Dusseldorf. >I also remember Schlosser Alt, got my first hangover on that, lol. When i lived in London there was a guy on Borough Market who used >to import it. Used to by it by the truckload for my Dad. What rememberings:-) It might be interesting for you that the brewery has been closed in the 90s as far I know. The brewery areal has been quit large. Dont know what is being built there today. Did you like the taste of Schlosser beer at all ? The English mostly prefer all kinds of lager, I think. At least I got lager in every pub I have been in Broadstairs, Margate or Ramsgate, when I was sent to this nice little towns at the end of the 70s. (Some kind of school-exchange program. I was about 16 yrs old). Similar Schlosser was the taste of a dark bitter in the Charles Dickens pub in Broadstairs. dont miss the next Alt-Beer. I loved living in Golzheim. used to ride through Nordpark to get to the Rhine and then ride up to Kaiserwerth and sometimes on to Krefeld along the banks of the Rhine. Yes, a Warrant officer is similar to an Unter-Offizier. I loved Schlosser Alt - a cross between a Lager and an English bitter. We drink a lot of bitter in the north of England but you can get some good bitters in the south as well. I also like Weissbier, especially Franziskaner which you can sometimes find here but mostly Erdinger. Places Served : Farnborough, Osnabruck, Ratingen, Barton Stacey, Hermitage. Hi Chaps, I was in Roy barracks from 1963 to 1977 when i got demobbed, coming and going between postings for courses and our survey unit in Barton Stacey. I can tell you that all the maps are correct at the time they were produced, i.e. 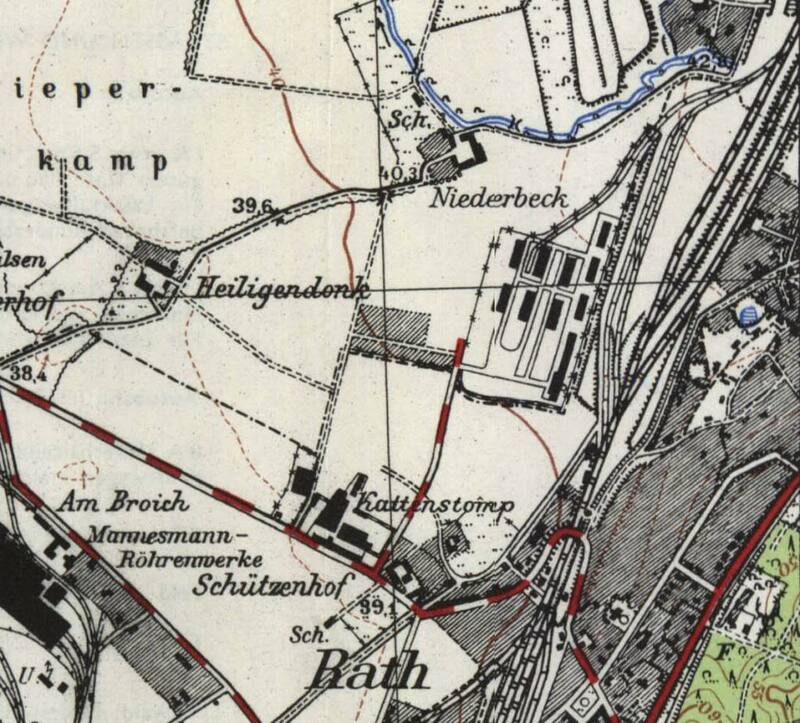 the German black and white shows the old barracks as it is today with the Google Earth map showing the same and you can see a new road that has been constructed which would have been just outside the barracks gates. 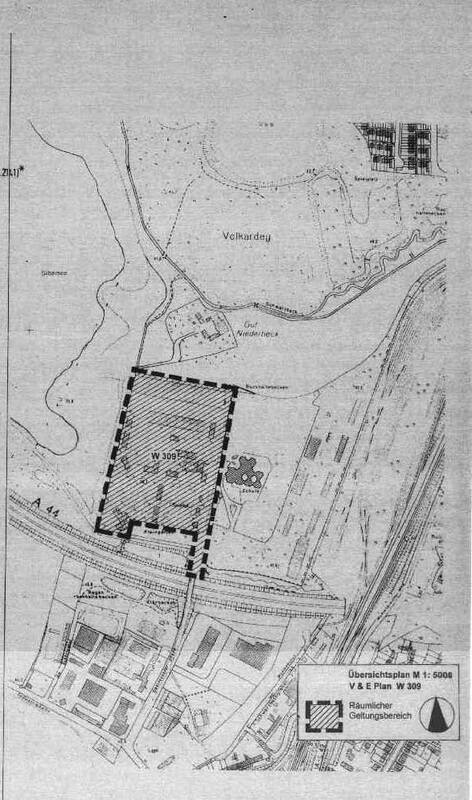 The black and white with the red and white dotted roads was as it was in the old days, the barracks being in the position Niederbeck, the gates being where the red and white road ends. I served there first as a driver and the transferring to Storeman Survey, this trade having to be capable of knowing all the various survey trades so that you could replace a class 3 trade in the event of death in a war situation. During piece time though we were responsible for storage and issue of maps, paper storage and preparation for the printing of maps etc., and map updates and distribution and receipts of these to the relevant units all over BAOR. These were done on a monthly basis and involved me and some others going down to deliver to the American map stores in Wiesbaden and raid the PX of various items, mostly cigars. Peter the welder was used as a general dogs body really as there was never enough welding for him to do and he used to spend a lot of time sorting the discarded items for scrap to sell off, I personally never saw him get angry and always appeared to be a gentle giant. I played in the RE Ratingen football team until my demob in May 1977 and also a lot of other sports and my last position was in the map office responsible for the correct issue and receipts of maps, charts and publishing's etc.. I have only just found this site so I am sorry it's so long after other postings but I hope this helps with any memories. Welcome and thanks for your contribution- as the saying goes "every little helps"
Thanks for the welcome, always find it interesting to hear about my former life as a soldier and hopefully meet up with old friends. A funny thing happened to me in my club house here in Benidorm, I was taking the micky out of the barman and speaking German to him because he was always ribbing me about my inability to speak Spanish, when a woman at the bar I hadn't notice approach said I used to be in Germany and after a few exchanges it turned out that it was the wife of my ex-football playing and drinking mate that used to live across the street in Raiffeisener Strasser in Ratingen. Also I went to Specsavers in Benidorm to get new glasses and I said to the manager who was attending to me, that accent is not Spanish and she said no she was from Germany and it turned out she was from Ratingen. So it seems you can't escape in life. By the way my rank was not private but I can't see how to correct it, been pretty poor if after 15 years I did not have any rank.